Supernaut Fri 18th Feb - requests? Supernaut is unleashed this Friday night. 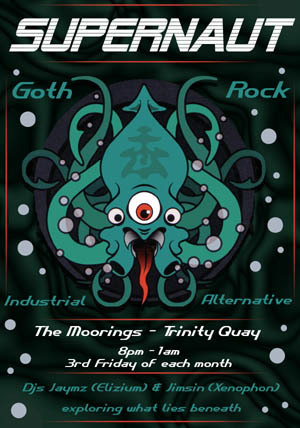 Expecting to play darker alt rock and dredging the depths for some goth & industrial monstrosities. ( With a few surprises thrown in for good measure). Please feel free to post any requests here & I'll do my best to bring them.